"There is no crazy request... we've had tigers in here before." The first hotel was Podshare in Downtown LA. 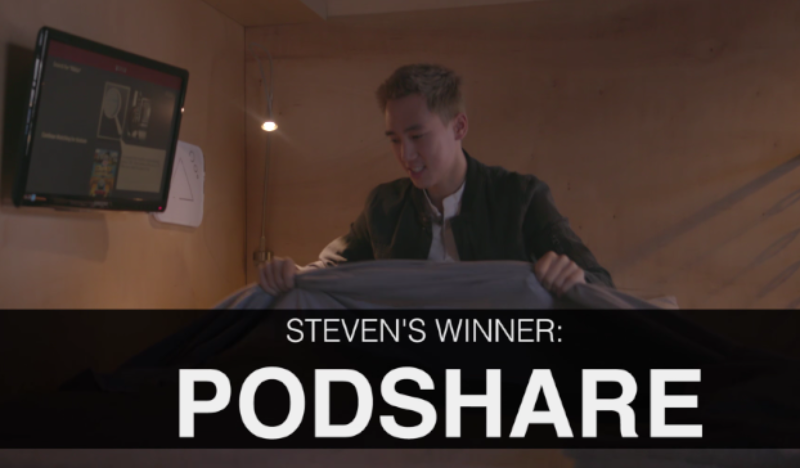 Here, you can get your own personal "pod" (complete with TV, what what!) in a modern, dormitory style room for $50 a night. The best part is that your $50 pass is good for 24 hours and works at all three Podshare locations — Downtown LA, Los Feliz and Hollywood. Steven is an extreme introvert, so Podshare's nature of "social collisions" was terrifying to him. However, once he saw the foam mattress pads and learned that the beds convert straight to desks, he was sold! They all agreed that it was the best cheap option in LA! Next up was the Redbury Hollywood. This boutique hotel has 57 rooms that retail for between $350-$450 per night. Each room comes with its own living room space and a King size bed. Steven was also quick to note that the pillows at the Redbury were top notch because they "conform to your body." Word. There's also a spa kit in the bathroom and an "intimacy kit" for the bedroom. The last hotel was Palms Casino Resort in Las Vegas. Here, they stayed in the Two Story Sky Villa, which ranges from $15,000 to $35,000 a NIGHT. Yep. This room is 9000 square feet and can sleep about 12 people, has butler service, a glass elevator, a pool and sauna, as well as several bar and dining areas... AND spa jet bathtubs. Plus, a rotating bed — bow chicka wow wowww. Seriously, this place is insane. Direct quote from the butler, "there is no crazy request... we've had tigers in here." And just LOOK at the view from the pool. Both Selorm and Steven agreed that the Palms was a once in a lifetime experience. 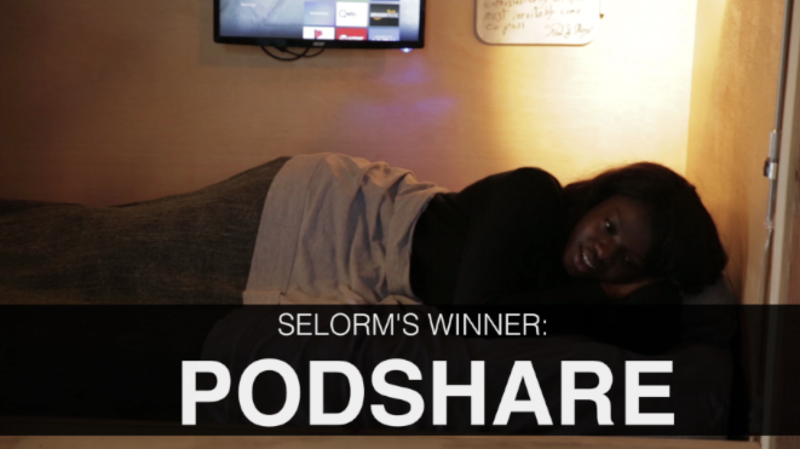 However, in the end, they both decided that Podshare was the winner in terms of bang for your buck and a fun experience!